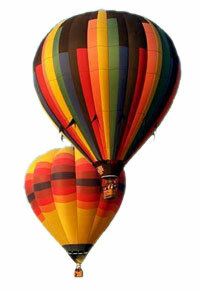 To Fly Up up and Away in your Beautiful Balloon, you're going to have to take an FAA checkride (Private or Commercial). This means an Oral Exam by an FAA Inspector or Designated Examiner. Don't worry! Our RideReady software, written by Bill Hughes, an ex-FAA Designated Examiner and veteran balloon pilot will help you pass that oral with ease.. even those tricky "Instructing" questions for Commercial Pilots! You can be studying for your checkride oral in minutes - just download the demo below! It includes free lifetime updates so you can study now and use it as a refresher tool later. Bill Hughes has been flying balloons since 1970. He is a former US Navy pilot who has over 9,000 hours of flight experience in everything from jets to helicopters. He has served as an FAA Designated Pilot Examiner and Safety Counselor. 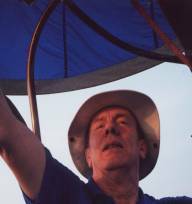 He was a crewmember for Malcolm Forbes’ balloon flight across America in 1973. Each year he acts as Balloonmeister* for several balloon events and last year celebrated his 22nd year as Balloonmeister for the Adirondack Balloon Festival in Glens Falls, NY. His experience includes flying in most of the US states, Canada, Europe and Japan, but his favorite flying area is the Mid-Hudson Valley. He has competed in the US National championships and has won numerous events in the US and Canada. You can take a balloon ride with Bill through Blue Sky Balloons or attend one of his regional Balloon Ground Schools through Liberty Balloon School. * Balloonmeister: The person responsible for all the operational aspects of a balloon event. He insures that it is conducted in accordance with FAA regulations and safety considerations. He combines his knowledge of the flying area and the existing weather to make the fly/no fly decisions for each launch and briefs the pilots accordingly. "Everything that [the examiner] asked me was covered in some way with the questions that you have in the software! Your program helped me unbelieveably. Using RideReady (as well as GroundSchool for my written test prep) was certainly a life-saver!" Ideally, you should start studying as early in the training process as you can. Having more knowledge earlier on will help you make the most of your training flights and therefore likely save you training money / time over the course of your training. That said, RideReady is perfectly suitable as a "night before the checkride" cram tool. Who wrote the questions and answers of RideReady - Hot Air Balloon? RideReady - Hot Air Balloon was written primarily written by Bill Hughes. Bill's experience as a Navy Pilot, FAA Designated Pilot Examiner, extremely-experienced ballon pilot, commercial balloon operator, and balloon instructor speaks for itself (see the box with Bill's bio at top). Additionally, some content was written by Adrian Cybriwsky, an FAA ATP and experienced flight instructor. Unlike on FAA written tests where questions have obvious and definite answers, many checkride oral questions are intended to probe your functional literacy and reasoning skills. Answers are often rich and detailed. Therefore, it is impractical to grade your answers strictly. Rather, RideReady leaves it up to you to see how your answer compares to ours. That said, RideReady allows you to flag questions as easy, neutral, or hard so that you can zero in on questions of importance to you. By the way, if you need FAA written test prep software, check out our GroundSchool software. RideReady Balloon Pilot has been written by an actual FAA designated pilot examiner who knows the actual questions that are likely to be asked on your checkride. So, it is a good idea to know the vast bulk of the content of RideReady. However, of course, while it is helpful for you to know as much as you can, examiners give reasonable leeway for little gaps here and there. Still, to increase your odds of success, study up! Fortunately, RideReady makes this easy! Sorry, RideReady only covers hot air balloons (though some of the material will be the same). This one product will prepare you for both your Private Pilot and Commercial Pilot Hot Air Balloon checkrides, including the Fundamentals of Instruction topics that you are required to learn during the Commercial in order to become a Balloon instructor. This is a constantly evolving answer, since we constantly update RideReady as necessary. Additionally, the answer depends as to whether you're studying for Private Pilot or Commercial Pilot. A few hundred questions are included. Yes, the ONE program will prepare you for both the Private and Commercial checkrides. Inside the program, you specify which you are studying for, and then the software will tailor the questions for that specific test. This also means that if you are studying for Private now, you can use the SAME software to prepare for Commercial later at NO ADDITIONAL COST! What About Balloon Flight Instructor? The FAA Commercial Balloon exams are a bit different than the Airplane and Helciopter exams. There is no seperate Balloon Flight Instructor checkride. Rather, balloon instructor priviliges are granted to every Commercial Pilot Balloon certificate holder. What this means, however, is that during your Commercial Checkride, you will be asked questions about the process of flight instruction (including student behavior and psychology, theories of learning and teaching, and so on). Collectively, this information is known in FAA terminology as the "Fundamentals of Instruction" (FOI). Nothing causes most balloon pilots to groan so much as the thought of learning the FOI. RideReady will prepare you on FOI material in a fast, efficient, and effective way. Thanks for checking out RideReady! Good luck in your ballooning adventure!